The beauty of sailing across changing shades of blue... The strain of setting the sails and finding a perfect dance between wind and wave! 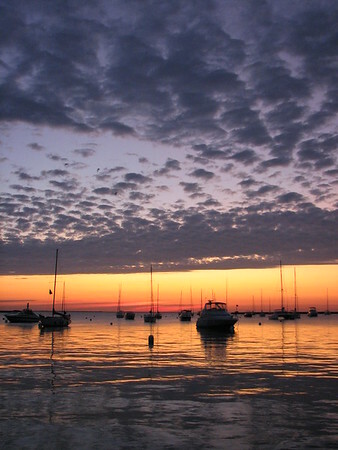 The clouds pattern the waters below as the dawn begins to break over Monroe Harbor!